Newborn cloth diapers are important to have even if you have a big newborn. My sons were all born over 9lbs and did not fit into one-size diapers for weeks. In fact, I wish I bought more newborn diapers! Why? At 9 lbs a 8-35 pond one-size diapers should fit right? Unfortunately no. Most o our one-size cloth diaapers didn’t it and I used our newborn stash constantly. What were our favorites? Which newborn diapers were the least well fitting? See the Best Newborn Cloth Diapers below! Challenges with newborn cloth diapers. The hard things about cloth diapering a newborn include: Finding small diapers that can hold a lot of pee and aren’t too thick. Finding the right combination can be tricky. Putting too many layers spread his legs out like a split, but with not enough he soaks through his entire outfit in minutes. In some cases, it’s not even worth leaving the changing table. In addition, he really doesn’t like being changed and I have to be lightning fast because he’s crying. Even as an experienced cloth diapering Mom, finding the right combination has been tough. We have had some surprises and some reassurances. Here are diaper fit and performances from the first 2 weeks of my newborn’s life this site of the uterus. Best Bottoms Limited Edition Santa’s Clothesline was one of the first prints I’ve stalked in a long time. I’ve wanted to try out the brand and also loved the print! This double-layer unlined PUL diaper cover came as just the shell (no insert) and has performed and fit well. I line the cover with a newborn prefold plus a natural fiber booster. Even better with an Infant prefold instead of the Grovia newborn prefolds I purchased that just aren’t cutting it absorbency wise. While the cover fits a bit lower to the knee then some of our other diapers, overall this has a nice fit and is easy to care for. One more row of rise snaps and this would be amazing! Directly below Santa’s Clothesline, seen in orange/green zig zag, is one of our Buttons Diapers. I used these diapers with my older sons and still enjoy the fit and performance. Also a PUL cover with inserts sold separately, I have been using the same Newborn prefold/booster or Infant prefold in the cover for best performance. The small size Buttons snap-in inserts have not been absorbent enough for our needs. As my son is growing we have moved up to the larger snap-in insert with a booster and so far that’s holding the flood gates. One of the WAHM diapers making an early appearance is Cloth N’ Stuff! While this diaper couldn’t go on until complete belly button healing, the fit is great on my NB! The snap-in snake style soaker is folded down in the front (where we need extra absorbency) and overall the fit and design work well for us. As you can see, this diaper would fit an even smaller waist and is seen here around 10 lbs on my son. Below is our BabyKicks Newborn fitted. 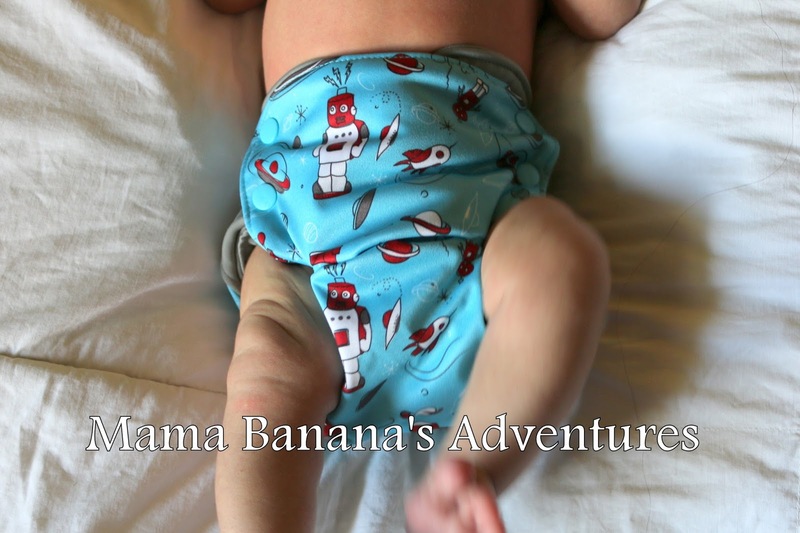 Made of organic cotton/hemp/polyester this is one of the best fitting diapers we’ve tried. While the diaper with the insert that accompanies it alone has not been absorbent enough, this insert in combination with one of our Grovia Newborn prefolds has! One of my favorite WAHM brands, Doodle Dypes, makes a great AI2. I couldn’t wait to get this on my 9lb-er and love the softness of the shell plus the snake style soaker. We’re using the crossover snaps and fold down row for fit here. Below (in light blue) is one of our Gerber AIO diapers. To my surprise…I like the fit!! Huge surprise. I tried the largest size with my older sons and found they ran very small. These diapers fit my little man well and so far the aplix is performing well. The AIO fabric plus the booster allow about 1.5 hours of wear and even fits well under clothing. Top performing and fitting fitted? Purple Unicorn Newborn hybrid fitted with the umbilical snap has been the best performing and fitting non-waterproof diaper we have in our stash. I may cry when these don’t fit anymore! The umbilical snap down has allowed for belly button healing, the contoured soaker allows for great leg closure and we can get approx 1.5 hours from these. This is a great amount of time considering that some days I don’t even get my NB off of the changing area before he’s soaked and needs to be changed again! Can I get an Amen for well hydrated babies?! I will admit to not initially being an all in one (AIO) fan. I nearly completely avoided them while cloth diapering my other children. Now, I am officially an AIO convert with our Smart Bottoms 3.1! While the diaper itself and soaker aren’t absorbent enough for my newborn, an added booster makes a big difference and the snake-style sewn in soaker is so narrow that the leg closure on my newborn is amazing. Below, The airplane print, plaid and red diaper are all Smart Bottoms. What’s the difference? The Airplane and Red are AIO 3.1s, one size diapers. The plaid diaper is Smart Bottom’s Newborn! 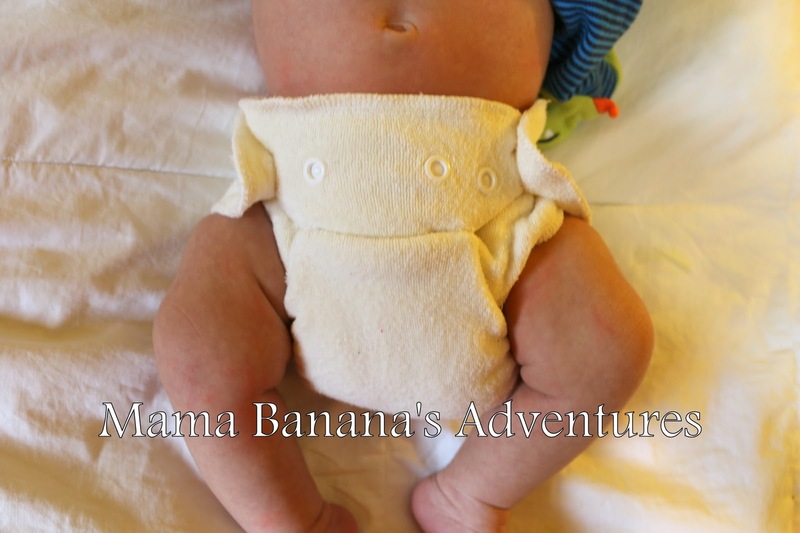 This newborn diaper is the best overall fitting waterproof diaper and with an added newborn prefold (in combination with the existing absorbent inside) works great on my little man. I wish we had more, but love the fit of the OS too and we have nearly outgrown the newborn in 3 weeks. This is our first SoftBums (Anchor print below)! This diaper fit extremely well at 9lbs, and could have gone even smaller! I wold highly recommend this for newborns. The diaper adjusts with elastic that can be tightened through an opening inside the diaper, and I had to loosen it for our first use. 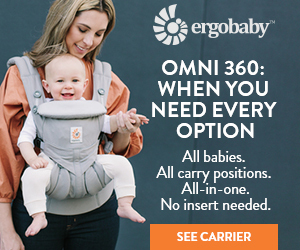 I wouldn’t hesitate to recommend this for even smaller babies. Downsides to the Softbums: While I love the fit, the print and the soft lining…I’m at odds with this aplix/velcro fit on my newborn. I find that the velcro on the arms is very stiff and seemed to put pressure on my newborn’s belly button area. I waited until it was completely healed before using this more often. The first few trials included having the waist completely open to allow for the umbilical stump to get good air flow and avoid pressure from the aplix/velcro. I think if this was a snaps diaper it would be total love and I hope to try one out in the future. Loved the diaper once the stump healed! See my full Softbums Review here. Below is one of my favorite newborn covers, the Thirsties Duo size 1. I purchased these on a whim and am glad I did! These are the best fitting and trimmest/thinnest covers for my newborn and I look forward to getting these out of the wash! While they don’t have an umbilical cutout or fold down, as you can see there is elastic in the front that allows the diaper to dip in that area. In addition, it sits low enough that it doesn’t put pressure on the belly button and is so trim that it fits really well under pants and doesn’t add bulk to prefolds or other inserts I use it with. I paired the Rumpraooz Tokodoki print diaper with the Little Bee co. pocket diaper below because these diapers have similar issues for me. Both diapers have a voluptuous lining and dual snap-together inserts. In the photo below (RAR Tokodoki) I only have one insert inside the diaper. As you can see it’s way too much bulk for my newborn and spreads his legs so far apart I took it off quickly. The Little Bee co. diaper seen below he same issues as the Rumparooz above. However, the lining is slightly less bulk and we have worn this a few times once my NB passed 10 lbs. Over time, this lining pilled and hardened and I have stopped using the diaper. I do like how low it sits to his belly button, but again with only one of the 2 inserts you can see the in-between knees bulk just from the diaper’s own lining. I wish I had both of these in newborn to try out! As you can see below, even though my newborn was over 9lbs both diapers do not fit him well. Prairielove Organic AI2 diapers are one of our favorites! While this diaper couldn’t be worn until umbilical healing occurred, I am in love with them. The AI2 shell is lined inside with Windpro polyfleece and the snap-in prefold style insert is soft, moldable and absorbent. 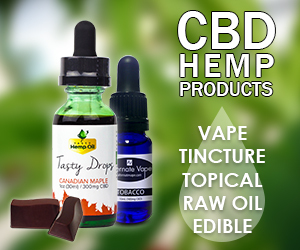 Read our full review for details, but these are definitely a company I will be adding more of to my stash. Below the Prairielove Organic purple Jellyfish diaper is our Geffen Baby prefold in small. This prefold is absorbent, thick but yet molds well to baby. I often find this prefold completely saturated, but an thrilled that I can use the Snappi diaper fasteners with it. One of the major disappointments I’ve had in this journey is the discovery that 1. Our Grovia Newborn prefolds are not nearly absorbent enough, in fact I often use two and 2. The snappi teeth stick through the Grovia Newborn prefolds (of which I purchased 15 on a Black Friday sale) and can dig into my son’s skin. I wish I had more of the Geffen Baby prefolds, as you can see it fits well and can take a Snappi and keep on ticking. Some of our OS diapers I’m still not in love with the fit of are our BG 4.0, Grovia Hybrid shell, Grovia OS AIOs, Lil Helper, and Blueberry OS Coverall (not pictured because it was too big to even test out). While the Grovia Hybrid and BG 4.0 seemed to fit okay, just big, they both produced leg hole leaks at every attempt, no matter the combination of inserts I tried. The Grovia AIO (robot/loopy) and the Lil Helper Diapers come up both too high on his waist and too low to his knees even at 12 lbs. 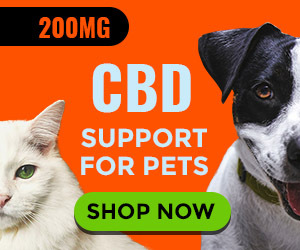 This makes me wish I had purchased some Grovia NB to try out. These diapers couldn’t be tested until his belly button completely healed because they covered it completely and totally obstructed air flow necessary for healing. However, I like all of these diapers and can’t wait until they fit! I have used them with my other children and find them valuable. What can you derive from all of this? Newborn favorites are Purple Unicorn newborn hybrid fitteds, Thirsties Duo wraps size 1 with Hemp Prefold, Smart Bottoms Newborn AIO with boosters. Get boosters…Lots of boosters!! Also, while Newborn prefolds may turn out to be good boosters…ours are not absorbent enough to handle newborn pee. Consider going up a size for more ply, or plan on boosting. 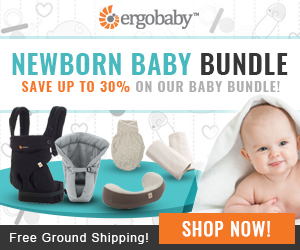 Is it worth buying Newborn diapers even for a “big” baby? YES! At approx 12 pounds many of our OS diapers are still too large and/or bulky from inserts, the lining or both. Consider umbilical healing. A diaper that will put pressure on, rub or touch a healing and possibly slightly bloody umbilical stump is no way to cloth diaper a newborn. Cutout, fold down and leave a looser waist if possible to allow for optimal air flow and healing. Love the diapers seen here? The WAHM diapers will have to come straight from their shops or custom orders, but the bigger brands can be found (and shipped free) from two of my favorite retailers (and affiliates). 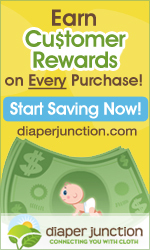 ← Cloth Diaper Clearance While Supplies Last!